Organic shampoo can help to revive your hair and scalp from years of harsh treatment caused by the use of traditional store bought products. There is a lot controversy around chemicals in everyday shampoos. True organic shampoo and conditioner products offer a wealth of benefits for your hair and scalp that will be immediately noticeable. 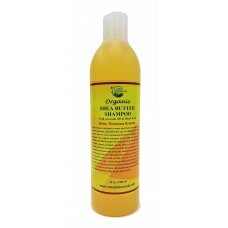 Organic products gently infuse your hair follicles and skin cells with natural minerals, herbal extracts, and oils. If you are looking for shampoos that stimulate healthy hair growth, look for products that are made with Aloe Vera, jojoba, rosemary, avocado, black seed oil, hemp seed oil and coconut oil, as they naturally moisturize your scalp. 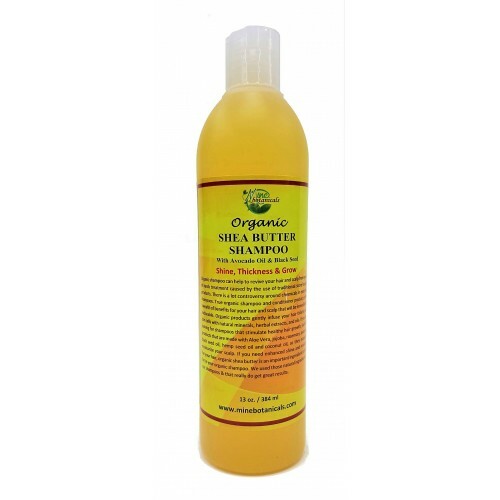 If you need enhanced shine and moisture for your hair, organic shea butter is an important ingredient to look for in your organic shampoo. We used those natural ingredients in our shampoos & that really do get great results. Use: Apply shampoo into wet or dry hair, starting at the middle and smoothing down at the ends. For better result let remain on hair for few minutes then massage again into wet hair, lather and rinse thoroughly. **For external use only. Avoid contact with eyes. Natural ingredients may vary in color & consistency. If any adverse reaction develops, stop use and contact your physician. Ingredients:- Water, Raw Butyrospermum Parki (Shea Butter), Black Seed, Avocado Oil, Sunflower Oil, Hemp Seed Oil, Almond Oil, Coconut Oil, Cocoa Seed Butter, Jojoba Oil, Vegetable Glycerin , Vitamin C, Dead Sea Salt, Tocopherol (Vitamin E) , Palm Kernel, Cocoamidopropyl Betaine , Cocomidopropyl DEA, Sodium Laureth Sulphate, Guar Gum, Olea Europea (Olive Oil) , Aloe Barbadensis Leaf Juice, Grapefruits Seed Extract & Natural Fragrances.